Talk about trendy: worldwide, 40% of companies use big data to inform decisions and streamline workflows. That number is sure to grow since its application maximizes work production while cutting costs. In the real estate industry, the big data trend touches everything from how property managers handle accounting to how real estate agents schedule marketing campaigns. 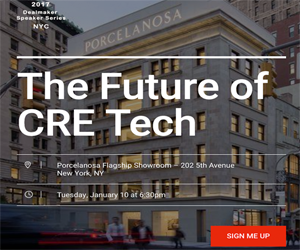 We’re interested to see how big data will move the real estate industry forward. Just look at how big data adoption is changing businesses across these related sectors. Right now 27% of retailers use big data in their business process, while 43% might start in the near future. Retailers primarily use big data to forecast trends and optimize pricing. Large companies track demand, inventory, and competition to make real-time changes. Another application of big data in retail identifies the right customer for the product and targets marketing to that individual. Big data tracks the buyer’s path to purchase, from the first click to payment, to better understand where buyers are likely to drop off in the process. Retail and real estate merge when brick and mortar locations apply big data to understand traffic flows, optimizing leasing prices and creating better layouts. In the finance world, 20% of businesses utilize big data and 22% are piloting applications. The most relevant big data rollout for financial world and real estate is blockchain. The potential to reduce fraud and speed up the transaction process is huge. For other uses, the financial world applies big data to automate operational processes, like loan underwriting and risk model development, and run predictive analytics on risk management. Property investors can analyze all factors from loans to maintenance history before making a decision. A scant 13% of manufacturers use big data, which is a shame since its applications can increase efficiency and improve product quality. A survey by LNS Research and MESA International cited big data provides better service and customer service by 39%. Big data better forecasts demands, highlights performance and streamlines the workflow. The same big data applies to adopting smart technology that reduces energy costs and maximizes building performance. Manufacturing and real estate intersect when a company realizes they may need to scale up or down to meet demand. The aforementioned smart tech becomes an advantage when buying, selling, or leasing a location. How can big data work in real estate? Besides what has already been mentioned, big data applications touch every niche: property management, asset management, and marketing practices. Property managers integrate analytics with smart buildings to improve efficiency: automatically adjusting thermostats based on occupancy or tracking when the HVAC will likely need replacement. Real estate agents can track what practices are most likely to close deals. The vast majority of big data is used to analyze large volumes of data, exploring better analysis possibilities, and building predictive models. For real estate, this means understanding the energy efficiency of a skyscraper to predicting if a real estate development is a solid investment. Expect more retailers to want hard data to justify a leading price and pay attention to blockchain developments in the financial sector. The big data revolution is just beginning. Newer PostWhat is Standing in the Way of Smart Tech Adoption?